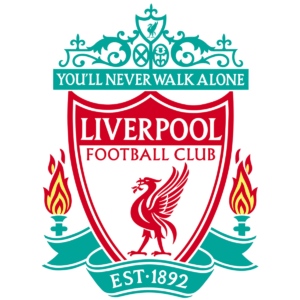 In the Champions League quarter-finals, FC Liverpool has caught up with FC Porto a supposedly easy ticket. How will the favorite beat on the field? There were only eight left: The Champions League is heading in the direction of Madrid, on Tuesday begin the quarter-final series. The remaining teams include Liverpool FC and FC Porto, who play a direct role in the direct duel: Can the Reds confirm their favorites or will the underdog from Portugal manage a surprise? Liverpool have a run: The team of Jürgen Klopp celebrated the fifth victory in a row against FC Southampton – and remained unbeaten for the 14th time in a row. At first, however, the duel with the Saints did not look like a win. Southampton took the lead early in the match before Naby Keita equalized with his first competitive goal in the Liverpooler Dress. As a result, the Reds worked tirelessly on the disciplined hosts, but only in the final phase could reward themselves: Mo Salah scored after a 60 -meter solo 2-1, captain Henderson made in injury time for the 3-1 -Schlusspunkt. Liverpool’s previous top duel with the Tottenham Hotspur was also decided late: after an intense exchange of blows, both sides had probably resigned themselves to a draw, but then the Reds managed the Lucky Punch. By own goal, the team secured the important victory – as close as before in the 2-1 against Fulham. In the Champions League, in turn, Liverpool also had some tests to pass: In the group stage, the team celebrated, among other things, a dramatic 3-2 victory over Paris St. Germain, before it got to do in the second round with FC Bayern Munich. After the Bundesliga club could make the first leg in Liverpool still open, the return match in Munich resembled a power demonstration of the Reds: Thanks to safe, determined offensive play and a solid defense, the Klopp Elf earned a deserved 3: 1 – and put one outward Effective signal: At the top of European football, there is a change of guard, with the Bayern and Real Madrid are two grandees of recent years on the decline – and Liverpool seems ready to fill this gap. In the quarter-finals you now have with Porto at least a nominally weaker opponent in front of the chest – but care is required: Last year, it was still the Reds themselves, which were sometimes underestimated. In the end, they made it to the final. Klopp can draw almost kadertechnisch from full, but must replace with Andrew Robertson but one of his most important men: The left-back is missing yellow-locked, next to it is only the long-term injured Alex Oxlade-Chamberlaine. 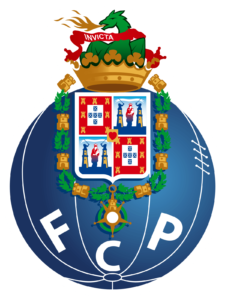 For years, FC Porto has been part of the regular staff of the Champions League knockout rounds. For years, but also early in the playoffs final. Accordingly low in Portugal hopes for the semi-finals, after all, the fans know their own dilemma: good enough for a knockout stage, but usually too weak for the fight for the crown. In the domestic league, the traditional club, however, the usual heavyweight: After 22 wins from 28 games, the team is on par with leaders Benfica Lisbon (69 points), the competition from Braga and Lisbon (Sporting), the top duo is already far behind – and the team so far makes no attempt to weaken the season final spurt. Against local rivals Boavista Porto let the team of Coach Conceicao fire nothing and won sovereign 2-0. Previously, the team had already put one of the few real competitors at national level, Sporting Braga in the barriers, with a 3-2 win on 26 Matchday. In the subsequent cup duel, however, again against Braga, you could not get beyond a 1-1, but thanks to the 3-0 first-leg victory, the moderate draw was not significant. In the Champions League, on the other hand, the Portuguese had to deal first with Schalke, Galatasaray and Dinamo Moscow, a feasible group constellation, from which the Iberians emerged victorious. In the subsequent round of 16 they were against the AS Roma before the end, but thanks to a 3-1 success after extra time, the team could draw the 1: 2 first leg defeat. With the Liverpool now waiting the clearest opponent of the season. Thanks to a series of six games without defeat, Porto should travel to Anfield with a certain amount of self-confidence. However, whether one can successfully resist one’s own dilemma there is doubt. The present gap in the quotation is understandable – after all, almost all the relevant factors for a victory Liverpool: The Reds provide the individually clearly superior team, they conquered in the course of the premier class significantly more opponents than Porto (Bayern, PSG, Naples) and yet enjoy the home advantage that weighs a lot on Anfield (a defeat in 21 home games). Porto, meanwhile, owes its quarter-finals not least to a gracious tournament: neither in the group stage nor in the round of 16 (AS Roma) did the Portuguese get involved with an international heavyweight. The fact that opponents of this category are at least one size too big for the league second in the league NOS has proven to be a regular one in the past – and on Tuesday evening he will follow the next proof.